Become the bank your customers love. 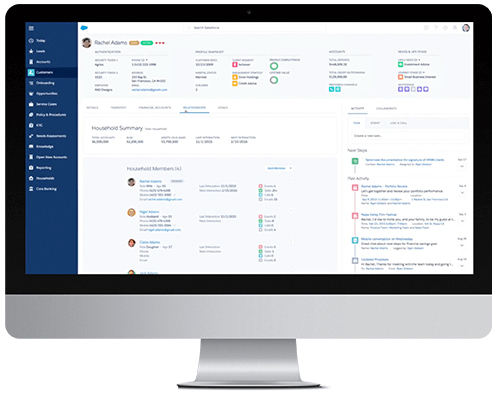 Watch this demo video and discover how Salesforce helps banks build deeper customer relationships that last year after year. How banks can plan, personalise, and optimise each customer journey to help them achieve financial well being. How to take advantage of the next-generation CRM technology, with proactive alerts and smart insights that give your team the edge on productivity. New ways you can engage and collaborate 1-to-1 with customers everywhere, to build deeper relationships, and grow your business.